We jump right back into our full-time schedule on this special weekend. 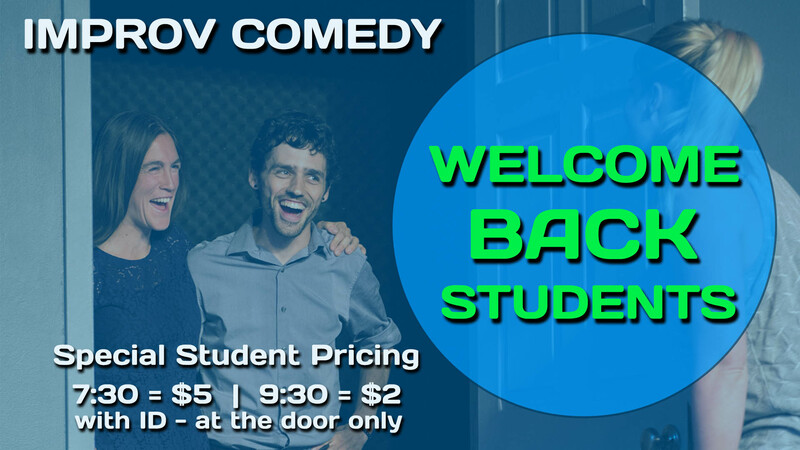 We annually host a Welcome Back Students night featuring our specialty – live improv comedy! 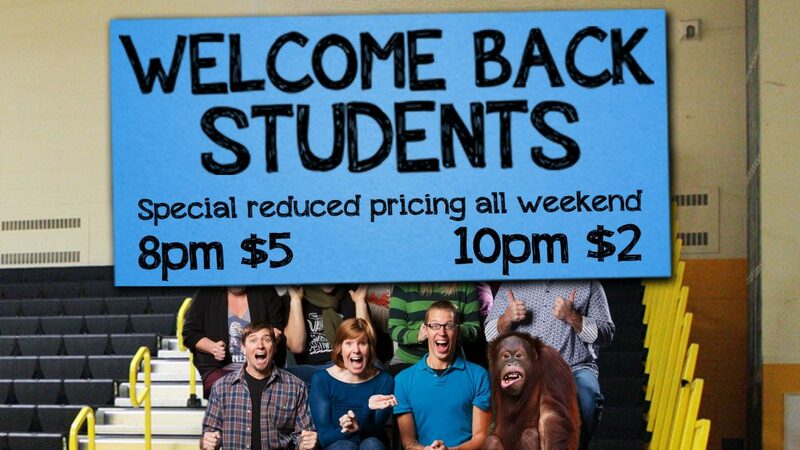 And featuring sweet student discounts. This show is sure to delight, so bring your friends and laugh your way into a new school year!